Ms. Markham also has an active mediation practice, helping parties to resolve both custody and divorce/property disputes as a neutral. Ms. Markham frequently serves as a court appointed custody mediator in the Montgomery County Circuit Court Child Custody/Access Mediation Program and as an Attorney-Facilitator through Montgomery County Circuit Court, Family Division Services. 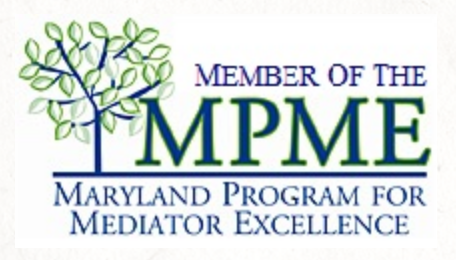 Ms. Markham has been approved by the Maryland Administrative Office of the Courts as a Circuit Court Alternative Dispute Resolution Practitioner mediator and serves on the roster of court-approved divorce/property mediators in Montgomery County. Ms. Markham also previously mediated in the Family Mediation Program, Multi-Door Dispute Resolution Division of the DC Superior Court and in 2015 she participated in a study through the National Institute of Justice and Indiana University Maurer School of Law, mediating cases with parties reporting a high incidence of Interpersonal Violence, utilizing both shuttle and video-conferencing methods. Ms. Markham is also on the Court-Approved roster of ADR Facilitators in the DC Superior Court. In 2017 and 2018, Ms. Markham was recognized by her peers for inclusion in "The Best Lawyers in America"© in the field of Family Law, for the Washington D.C. Area. Best Lawyers is a purely peer review publication. Ms. Markham recently concluded a term on the Montgomery County Commission for Juvenile Justice, having been appointed by County Executive Ike Leggett and confirmed by the County Council in 2015. Ms. Markham is honored to have been selected as a Daily Record 2016 Leading Woman. The Daily Record's Leading Women awards honor 50 women who are 40 years of age or younger for their accomplishments in their careers so far. A panel of previous winners selected the honorees based on their professional experience, community involvement and commitment to inspiring change. 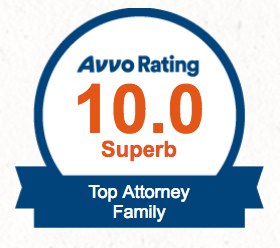 Ms. Markham has also received a Martindale-Hubbell Peer Review Rating of AV Preeminent in the field of Family Law. Martindale-Hubbell Peer Review Ratings are ratings by legal peers reflecting Very High General Ethical Standards and Legal Ability (including Legal Knowledge, Analytical Capabilities, Judgment, Communication Ability and Legal Experience). In addition, Ms. Markham has been selected for inclusion as a "Rising Star" by Maryland SuperLawyers Magazine (2011-2019) and Washington DC SuperLawyers Magazine (2013-2019). In 2013, 2016 and 2017, Ms. Markham had the pleasure to serve as a Judge of the Maryland State Bar Association, Mock Trial Competition. In law school Ms. Markham served as a Florida Supreme Court Certified Legal Intern for the Miami-Dade State Attorney's Office where she focused on prosecution of juvenile misdemeanor and felony crimes. Prior to the formation of the Markham Law Firm, Ms. Markham was an associate and then a principal in one of the area's top boutique family law firms. In addition to her numerous professional affiliations, Ms. Markham is also on the Board of Directors and acts as Secretary for the New Orchestra of Washington. Ms. Markham is also an active member of Westmoreland Congregational Church in Bethesda, for which she has served on the Board of Trustees/Governance Council and Finance Committee and as AmeriCorps Program Director of the Westmoreland Volunteer Corps Board. In the past, Ms. Markham has been active in the Shakespeare Theatre Company's Bard Association and Mock Trial Committee assisting to plan and produce the theater company's yearly Supreme Court Mock Trial. Speaking Engagements/CLEs: Quick to Caucus (American Bar Association, April 2019); What the Heck is a QDRO and Why Do I Need One? (Montgomery County Bar Association, October 2016); Tips and Tricks for Drafting Retirement Provisions in Property Settlement Agreements (Montgomery County Bar Association, 2016); Litigating a Child Custody Case (Montgomery County Bar Association, 2016); The Legal Process of Separation and Divorce in Montgomery County (Montgomery County Women's Commission (2012, 2015). Board Positions: New Orchestra of Washington (Board of Directors, Secretary); Montgomery County Maryland Bar Foundation (Member, Golf and Tennis Charity Classic Committee; Chair, Silent Auction Committee); Shakespeare Theatre Bard Association and Mock Trial Committee (2010-2015); Montgomery County Bar Foundation School Education Mentoring Program (Attorney Mentor, 2011); Westmoreland Congregational United Church of Christ, Board of Trustees (2011-2012), Governance Council (2013), Budget Committee (2012-2013), Westmoreland Volunteer Corps AmeriCorps Program Director (2010-2012); Maryland Program for Mediator Excellence, Member. 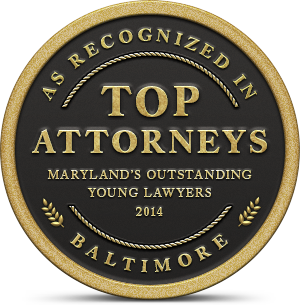 Bar Association, Professional Memberships: D.C. Academy of Collaborative Professionals; Barrister Member, Montgomery County Inn of Court; Montgomery County Bar Association (Member, Family Law Section); Women's Bar Association of Montgomery County (Treasurer 2014-2016, Board Member at Large 2016-2018); Maryland State Bar Association, Inc. (Member, Sections on: Family Law; Juvenile Law); DC Bar (Member, Family Law Section).